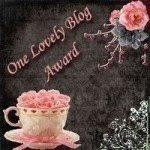 Young's Scrapping- and other thoughts or creations: My 2nd blog award! THANKS SO MUCH SAMMIBUG!!!! 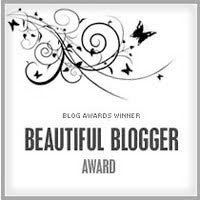 It has sure been a LONG time since I've received a blog award! I'm so proud! 2. I realize I have an addiction to buying scrapbooking/ craft supplies! 3. I just realized I like to alter notebooks! 4. I have an addiction to using tags in alot of my projects! 6. I cannot wait to start my job on Above Rubies Studio Design Team! 7. Branson Missouri is not gonna know what hits them come the weekend of May 13th! I am so excited to meet so many of my friends from the Cricut MB face to face!!! Thanks for the award Jen! Have a great day! Thank you so much for thinking of me Jen, I will add this to the blog later in the week (I was lucky enough to get this award already, so will add your link to that post). Thank you very much for the award Jen! I really appreciate that!! You are so sweet! !